The existence of a heavyweight risk management process is a good indicator that a company has failed to embrace the essence of what agile is. But software development is risky. You’re creating something new, with an uncertain set of requirements, in an often tight timeframe. And, don’t get me started on unknown dependencies, sudden market changes, and personnel shifts! You know that without some sort of risk mitigation strategy, your bright and shiny new project can tarnish quickly, along with your reputation. So, if you don’t have a formal risk management process, what do you do? After all, agile frameworks like Scrum and Kanban don’t explicitly mention risk at all. The solution is a matter of principle–agile principles that is. 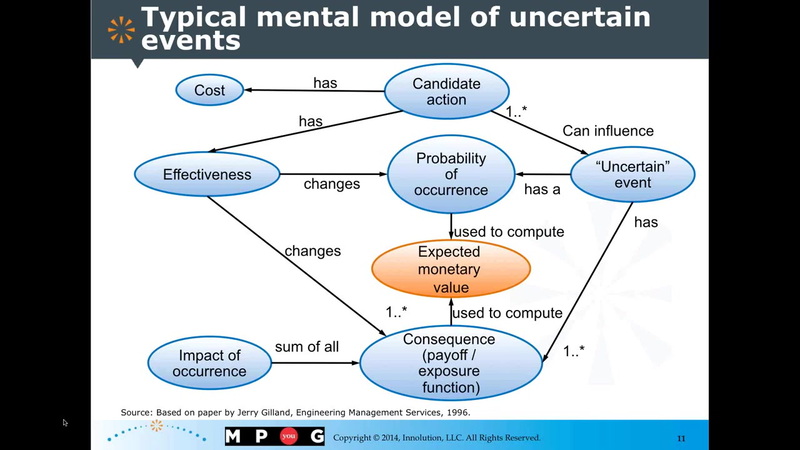 In this presentation, I discuss how applying core agile principles can make the development process robust and at times antifragile to the disorder of uncertain events, allowing us to avoid harm and reap the benefits of uncertainty, without the need for heavyweight risk management processes. I will show that our goal is not to eliminate uncertainty, risk, or variability, but to protect ourselves against the variability that harms us and to promote and exploit the variability that benefits us. I will discuss that when appropriate, we should apply simple traditional risk management techniques in a good-enough (barely sufficient) manner. I then discuss how we can manage risk through the product backlog and how we can apply agile principles to avoid the self-creation of inherently risky or uncertain situations. Finally, I will discuss how to apply agile principles to avoid the harm (be robust) and reap the benefits (be antifragile) from uncertain events in the environment. Registering to get news letter frequently.